When you go to the doctor’s, are you usually a bit surprised when they figure out what’s bothering you with very little information? Sometimes, they just know it’s a sinus infection, a broken ankle, or a virus with barely looking at you. Doctors go to school for many years and learn all the telltale signs of illnesses. Massage therapists are no different. They are specially trained and are able to help your aches and pains with special techniques proven to heal the body. At Abarr Lake Chiropractic in Loveland, we have the best massage therapists on staff. They are well trained and courteous to your specific massage therapy needs. Learn what other things they may find out about you when completing your massage therapy, without even asking. We know this isn’t your favorite subject to discuss, but don’t feel embarrassed. This is a true problem and we can help you! Our massage therapists can tell because your stomach will be very firm to the touch. However, the massage therapy can help break things up and get you back on track. They can also teach you some tricks you can try on your own, at home. We aren’t talking about a runny nose and the red eyes because that’s obvious. We can notice your hidden symptoms by feeling your pressure points within different parts of your facial structure. When the pressure points over your eyes, cheeks, and forehead become inflamed and the tissue feels off, we are able to detect it’s due to your allergies. Other spots of the body that we can discover your allergy woes are the lymph nodes in your chest, neck, and armpits. If you tend to cross your legs more often than not, they’re signs that give away your secret. When you cross your legs, you put an abnormal amount of pressure on your hips. This causes your glute muscles to expel pain and that travels up to your back, and then circles back to your hamstrings and quads. When you cross your legs this is an unnatural position and your body is feeling it. This may be a little scary, but it can save your life. Since the back of your body is the part you rarely see, and the part we always see, we can pick out irregularities right away. We will never express that it is most definitely cancer, but we may suggest you go to your regular physician so you can be checked out to be certain. We can usually tell if you are sleeping wrong and or need a new more supportive pillow. Pillows should support your shoulders and neck, and keep your spine as aligned as possible. Also, we can tell if you have been sleeping on your stomach, because of how harming it is to your neck and spine. Some people are more prone to it, but we can use our detective skills and inspect your back, even if you don’t express you have the discomfort. If your hip is higher than the other, this is a misalignment that can be causing your low back pain. We also will be able to recognize when you lay down how much space is between you and the table. If your belly is a bit larger this can stress to the back which will cause low back pain. We will be able to tell if you have had a rough, day, week, month, or even year. 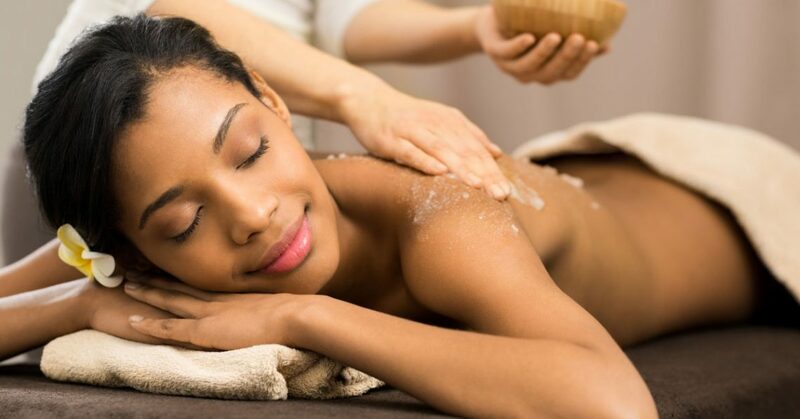 If you can’t relax during your massage, and your body isn’t receiving our healing messages the proper way, we have a good indication that this is stress related. If you work in an office, more importantly at a computer, there are dead giveaways that we take notice to. If you have a forward roll to your shoulders we can conclude it’s because of the looking down at a monitor all day. If you have a highly strained back we can attribute that to sitting for long periods of time. Our massage therapy will help ease the tension you feel from sitting at a desk, and we can also give you tips on how to help yourself in the long term. At, Abarr Lake Chiropractic in Loveland our massage therapists are well trained in spotting different aspects of your life like a previously broken leg, if you tend to sit a certain way, or if you have pesky allergies. We can help you with our massage therapy practices and make sure to get you feeling your best. Schedule your massage therapy appointment today!